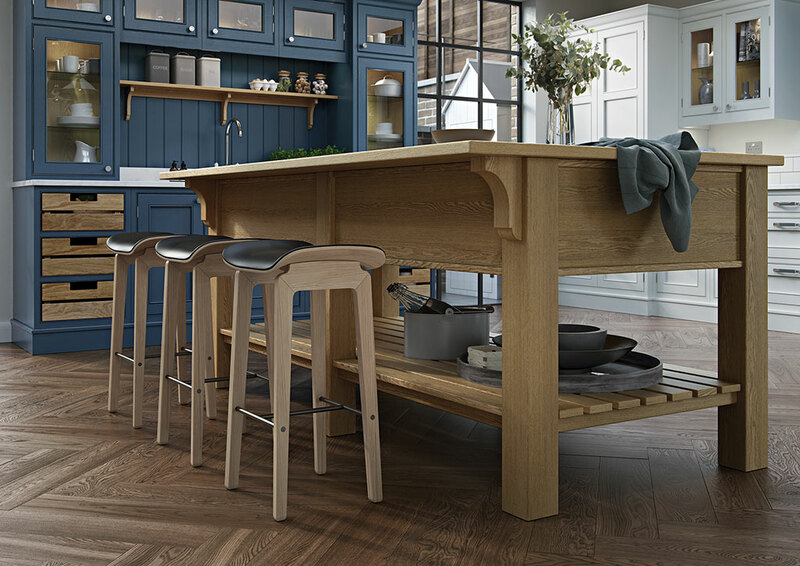 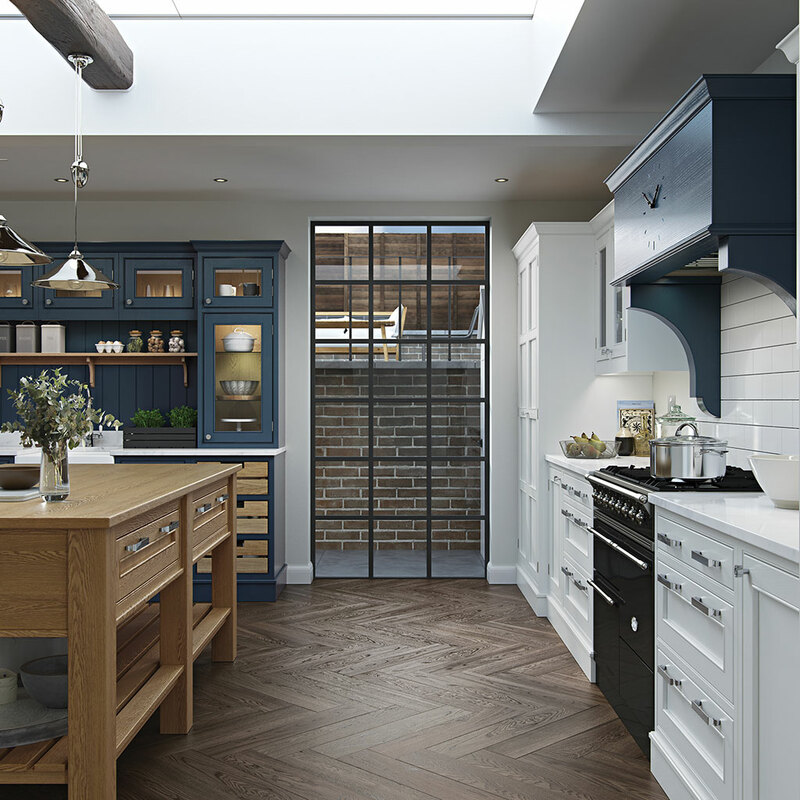 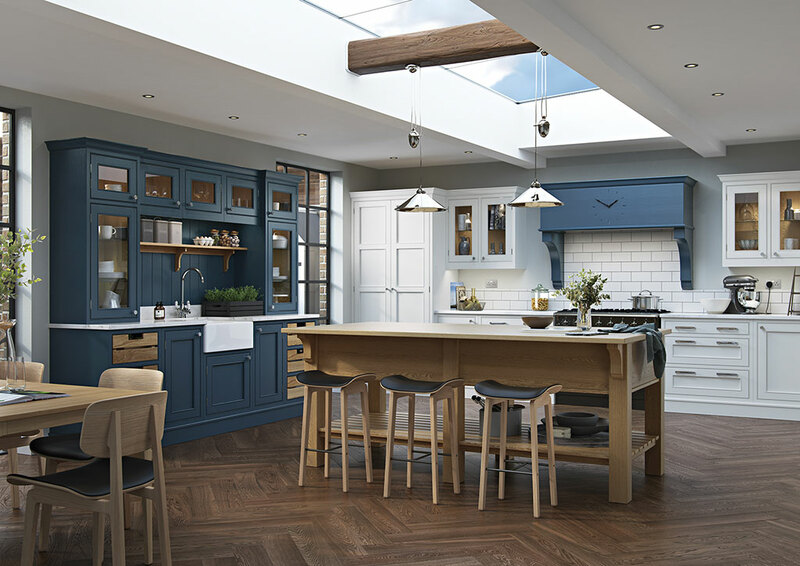 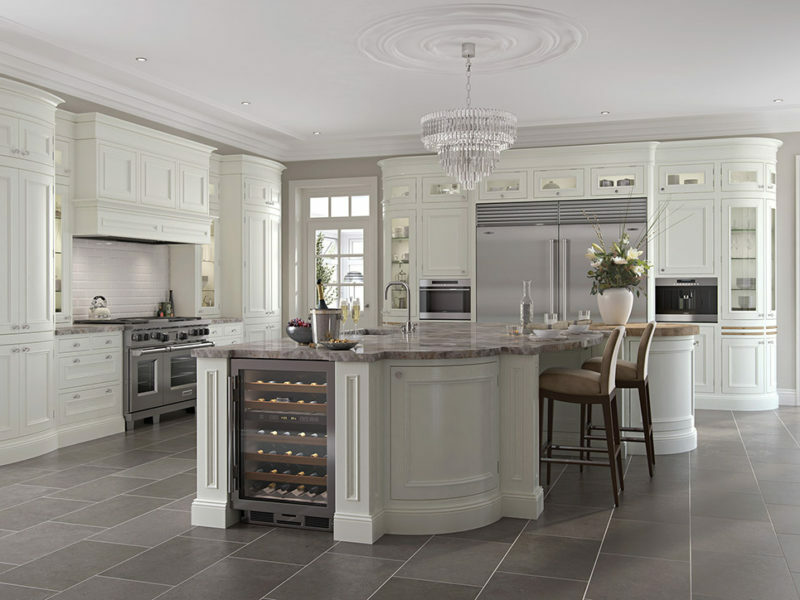 Showcased in a contemporary setting, the Lawrence farmhouse-style kitchen shows its versatility with its unique door profile and selection of elegant, yet functional accessories. 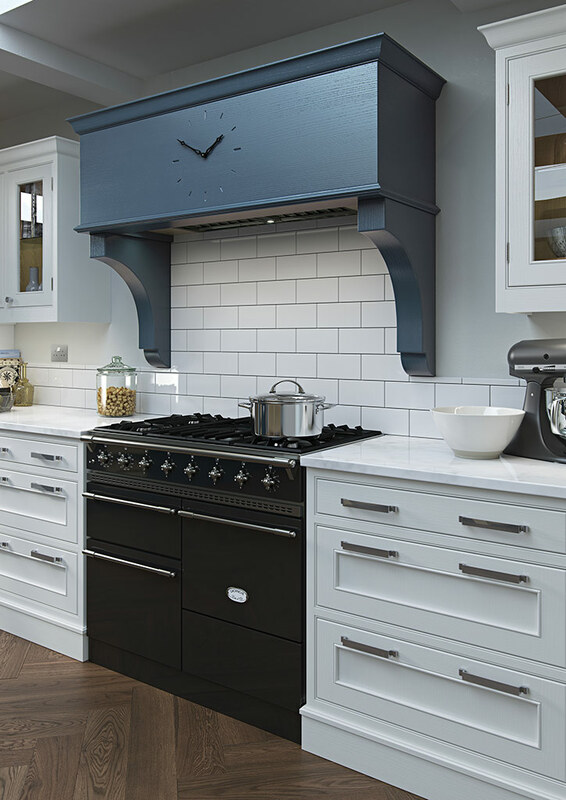 Unlike the mass produced doors flooding today’s kitchen market, this door’s raised and beaded centre panel provides a point of difference and will give your kitchen design a cutting-edge look and feel. 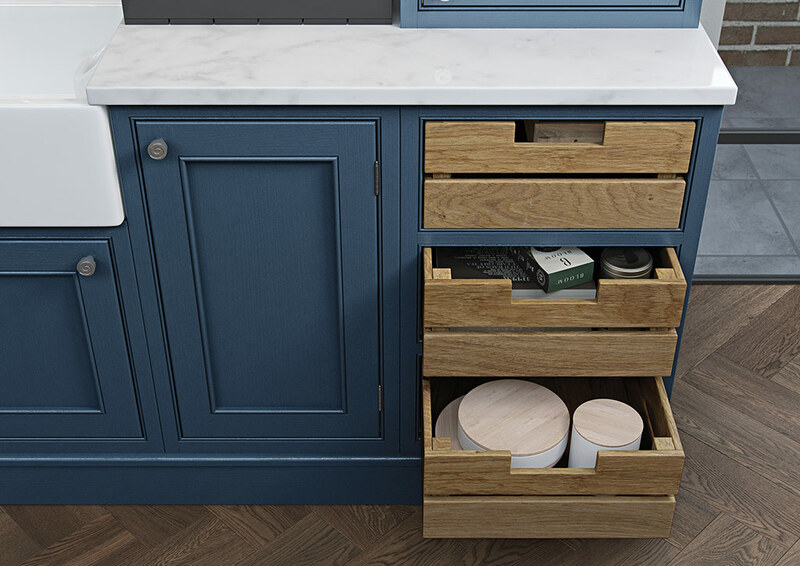 Custom made features such as the engraved canopy clock and solid oak crate drawers add a bespoke flavour to the design. 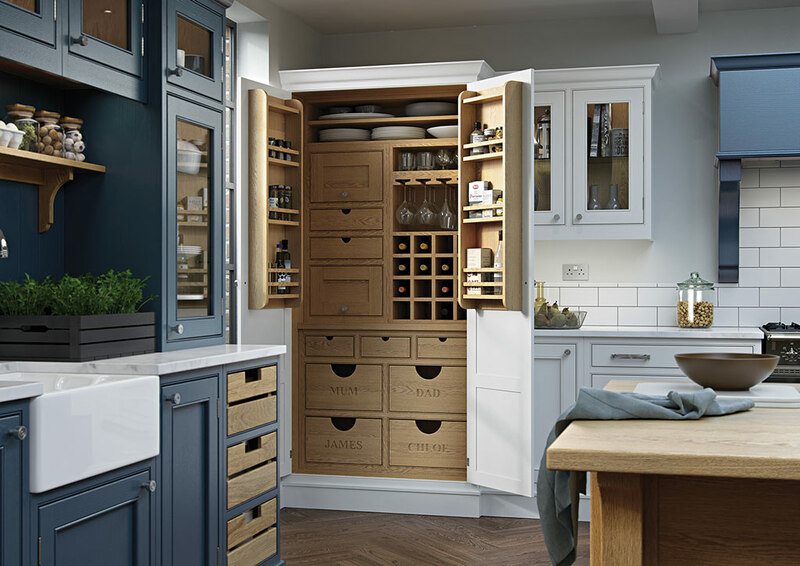 The pantry unit, with its carved dovetail drawers and copious storage capacity, makes this kitchen a dream for the creative cook. 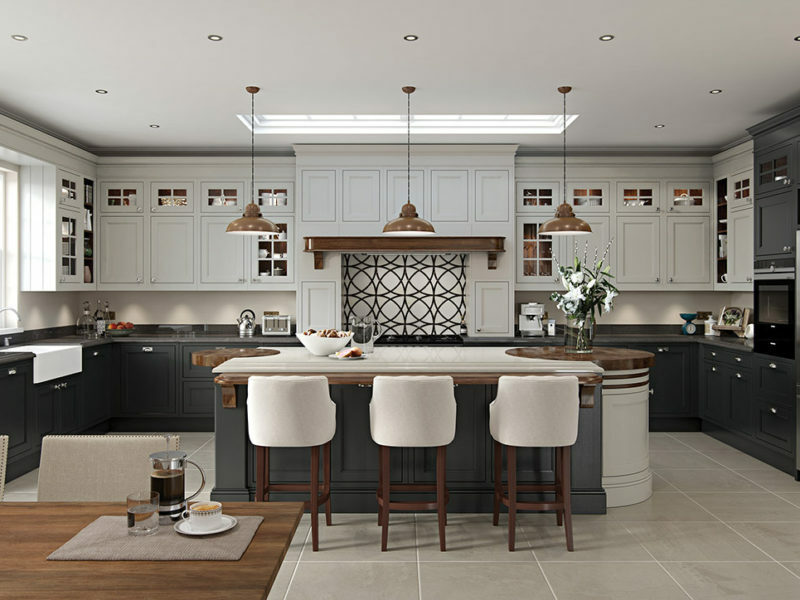 The central island with open space below provides the ideal area for preparing meals, displaying crockery or simply sitting down with your morning coffee. 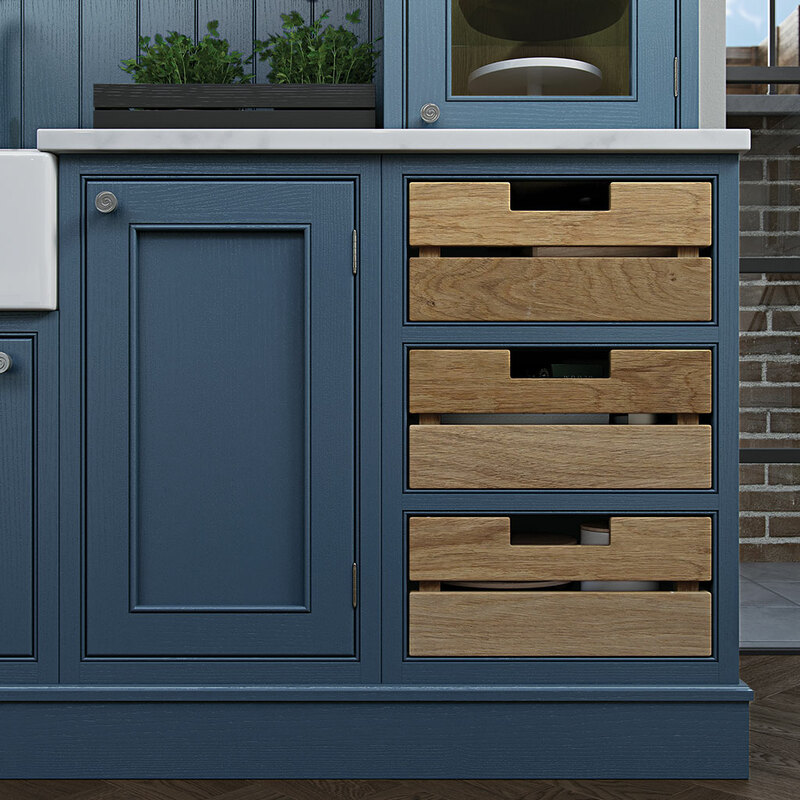 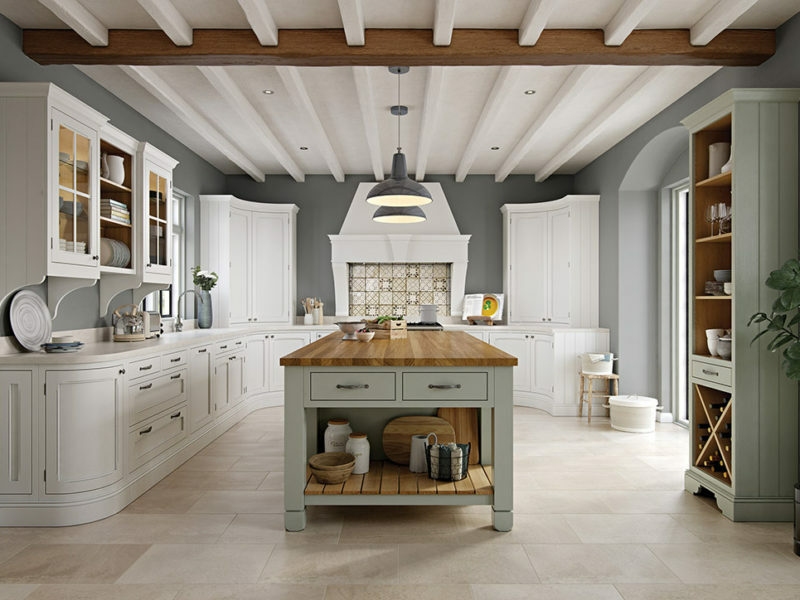 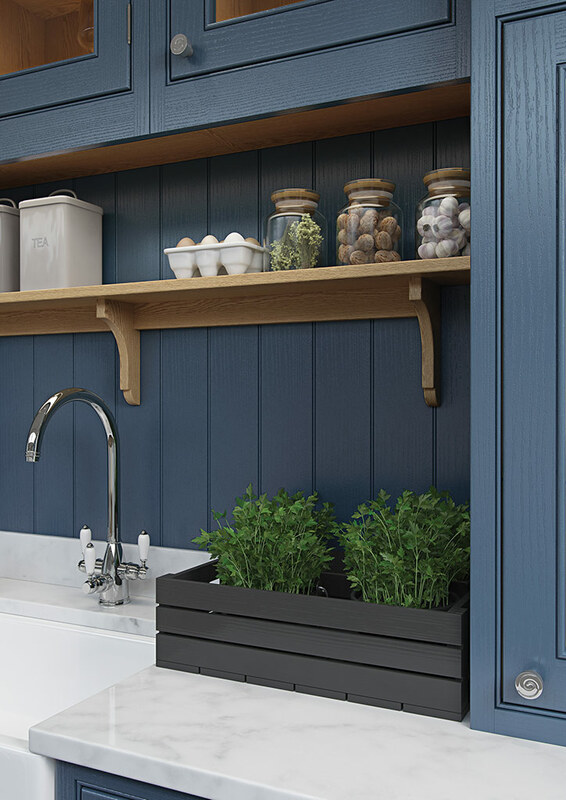 The kitchen shown here features Lawrence Painted Brilliant White (wall & base units) and Parisian Blue (dresser & overmantle) with Oak island, crate drawers, dresser shelf and internal accessories.